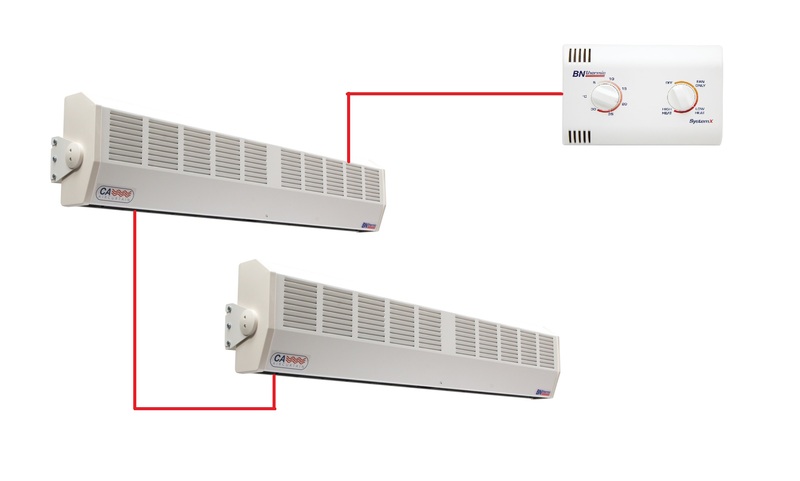 For many years, BN Thermic has supplied a range of overdoor heaters used in corner shops and cafes and a separate range of high capacity air curtains used in major department stores, large hotels and office blocks etc. Recently our customers have been asking for a half-way house between these two extremes. What was required was a product with a higher air velocity than an overdoor heater but that is significantly quieter than an industrial air curtain. Enter the CA range! 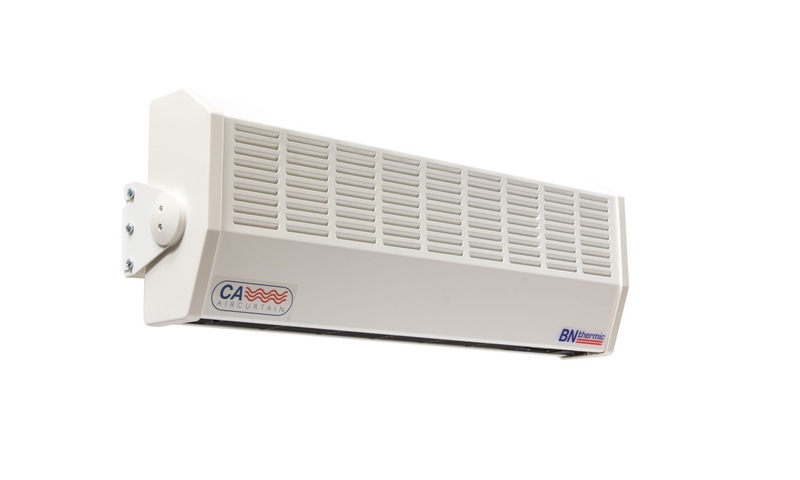 There are 12 models in the CA range with outputs from 3kW to 13.5kW and lengths from 0.6m to 1.6m. All sizes and outputs can be supplied with a built-in electronic thermostat if required. An optional, remote mounted controller is available, providing on/off/high heat/low heat/ fan only (summer use) settings. CA air curtains are recommended for mounting heights from 2.5m to 3.5m and are ideal for larger shops and restaurants. Click here for full specs. Where a project calls for multiple air curtains, we suggest using similar heaters from our System X range. 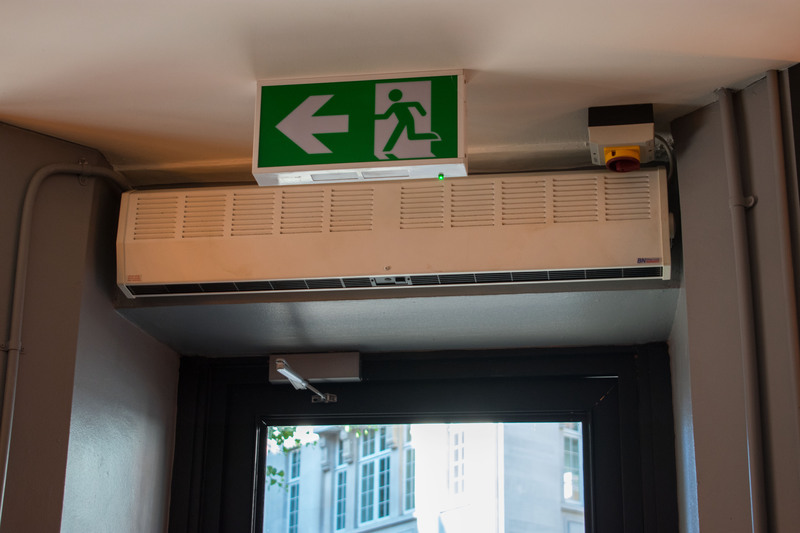 System X allows a group of air curtains to be controlled from a single point with control connections by means of Cat 5 cable. This approach reduces installation time and ensures zero connection errors. Need assistance selecting the right air curtain? Call us today on 01293 547 361.